Costs – Learn about the costs of tree trimming, stump removal and tree removal in Reading, Pennsylvania. FAQs – What trees are you considering for your yard? Do you know what the most common breeds are in Reading? Learn more about which ones thrive and ones to avoid, along with rules outlined by the city and more. Services – Need more information or a pro today? We have everyone in your area listed below. How Much Do Tree Services Cost in Reading? Tree service costs for trimming, pruning and removal in Reading, Pennsylvania are based on the type, location and size of the tree. With the various types of trees requiring maintenance in the city, it’s important to know what you’re going to pay ahead of time and figure out what goes into the process. Be sure to get quotes from several professionals before settling on one to cut or trim your trees. Smaller tree/shrub removal costs an average of $200, and larger tree/shrub removal costs an average of $1,000. If you want the company to chip the brush or cut up the wood into pieces, there are extra charges involved. This service includes cleaning up and removing tree debris by a licensed, bonded and insured tree removal contractor. Stump removal ranges from $60 to $350, and grinding ranges from $80 to $140. Removing tree stumps can be costly if the roots are very deep. A cheaper alternative to stump removal is to have it grounded. It will take a tree service about two hours to grind a small, medium or large tree stump. Basic trimming and pruning by a contractor costs an average of $350 or in the range of $80 to $600. By paying a professional tree service company to trim your shrubs and trees, you’ll save money in the long run while keeping your landscaping looking great all year. The city of Reading, Pennsylvania, takes great pride in the types of trees that are planted in and around its vicinity. The large variety of trees planted along the local streets and sidewalks add to the beauty of this southeastern Pennsylvania city. According to Reading’s rules and regulations, cutting down a tree is considered a major landscaping project, and citizens are required to hire a contractor to haul away tree debris. However, in regards to small tree trimmings, the city provides removal services at the request of the homeowner. Piles of tree debris must be no larger than 3 feet wide by 4 feet long and be placed on the curbside of the homeowner’s property. In Reading, citizens are allowed to remove trees at any time they wish. However, fall is the best time of the year to plant trees in this city. It’s a fact that trees are the leading cause of power outages. Therefore, residents of Reading are not allowed to plant tall-growing trees directly under or in close proximity to power lines. However, the city’s power company regularly inspects the power lines. If established trees are growing too close to the city’s power lines, the power company will hire a certified tree contractor to prune trees or cut them down. Officials in Reading, Pennsylvania state that one of the most difficult trees to maintain in the city of Reading is the Bradford Pear tree also known as the callery pear tree or Pyrus calleryana. These trees break apart and split as they age, causing property damage and danger to pedestrians. They are also blacklisted in Pennsylvania, meaning that the state will not fund its’ cities for replacing these trees. Pennsylvania’s state tree is the hemlock or Tsuga heterophylla, the beautiful and hardy evergreen tree. 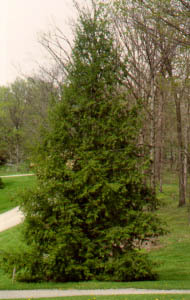 The hemlock can grow to a height of almost 200 feet and has a long life span. In fact, the oldest Hemlock tree is recorded to have lived 554 years. 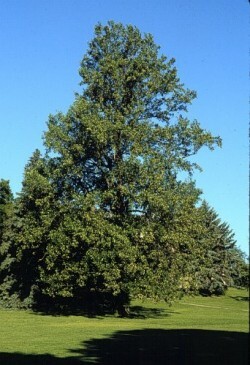 The tallest tree in Reading is the tulip tree, also known as the yellow poplar or Liriodendron tulipifera. This tree bears flowers resembling yellow tulips and can reach heights of up to 105 feet. The smallest tree in Reading is the Japanese tree lilac or Syringa reticulate. This tree resembles a large shrub and has big, fragrant, white flowers with a display of fruit during the winter. Also interesting to note is that Reading has been a tree city with the Arbor Day Foundation for 26 years. This nonprofit, educational organization was founded in 1971 for the purpose of encouraging people to plant trees and offers valuable information on how to care for trees and what type of tree to plant in a particular geography. Oak (Quercus): Currently, there are approximately 600 various species of Oak trees. These majestic trees are considered flowering plants and are found throughout the world. This strong, beautiful and hardy tree is best known for its hardwood and is a popular choice for many applications. Maple (Acer): The large variety of Maple trees are native to Asia, with many growing in North America, Europe and Africa. These well known trees can grow up to 145 feet tall, while the shrub version grows up to 32 feet tall. Some varieties of Maple trees are ornamental, thus they are a popular choice among Reading homeowners. Silver leaf linden (Tilia tomentosa): Many American cities, including Reading, enjoy the aesthetic beauty of the Silver Leaf Linden. Growing in a lovely pyramid shape, these trees can get as high as 70 feet and average width of 50 feet. Thick and dense, these trees produce leaves that shimmer in the breeze and fragrant flowers that bloom in early spring. Japanese zelkova (Zelkova serrata): This is another excellent choice of trees for cities such as Reading, as they are very shapely and ornamental. These trees can grow to a height of 80 feet with a spread of up to 75 feet. They also produce a lot of shade as well as a rainbow of colors in the fall. Any tree native to Pennsylvania grows well in Reading. These trees can tolerate urban environments with compacted soil that contains contaminants such as road salt.Regarding fruit trees, residents of Reading can grow Asian pear trees and a variety of apple trees. These fruit trees are very hardy in Reading’s climate. Verticillium wilt and Dutch elm disease are common diseases that affect many of Reading’s trees, such as Maple and Elm trees. The emerald ash borer is responsible for destroying ash trees by carrying germs that cause Dutch elm disease.